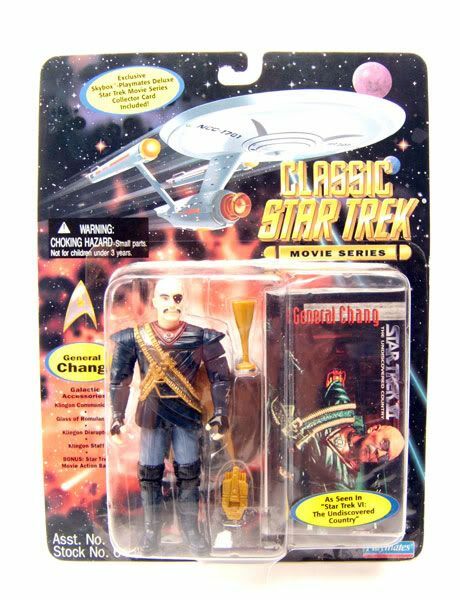 General Chang was released carded as part of Playmates' Classic Star Trek Movie Series. Let's start with the head. Unfortunatley, it's a little weak. 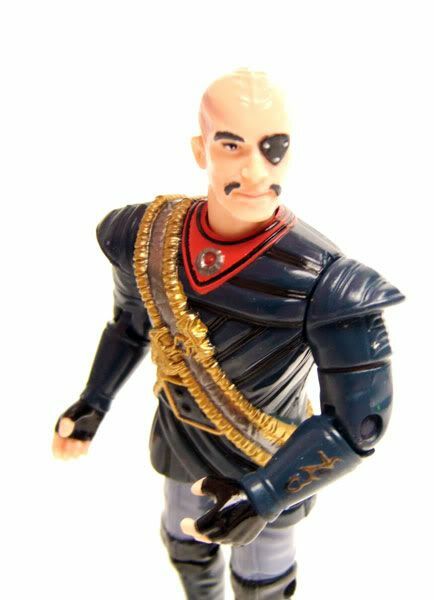 It's got all the elements of Chang (the eye patch, the subdued head ridges, the facial hair) but it doesn't really look like Christopher Plummer. It looks more like Plummer's stunt double or something. Plus the skin tone is really light. 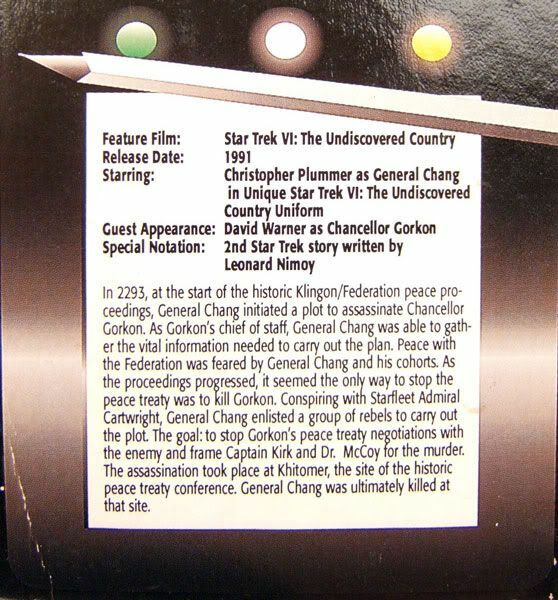 I know Chang was fair-skinned by Klingon standards, but this figure is pale by human standards even! Things get a little better on the body. 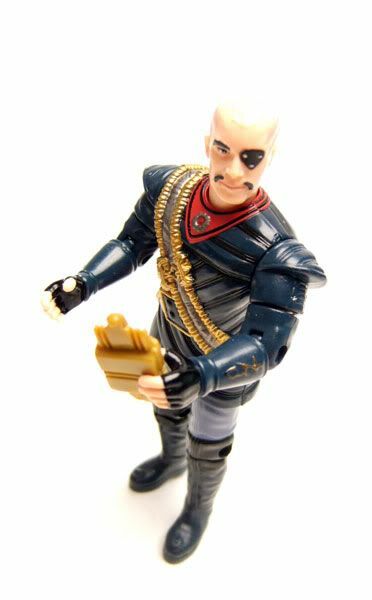 The sculpting on teh uniform is pretty intricate, and the paint detailing is some of the nicest in the entire playmates line. 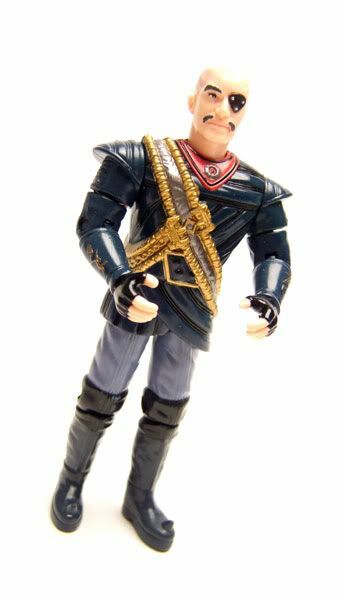 The figure does a really nice job of matching the costuming from the movie. One of my major gripes with the body is the arms. They seem a bit small. Oh, and the hands are pretty much useless. I had a heck of a time getting Chang to hold anything long enough to shoot a picture of. There's no way he'd hold them for long in a display without some kind of adhesive aid. That's a shame. 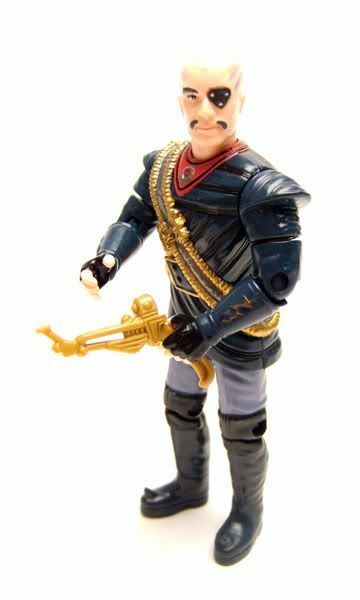 So, we get one Chang figure and it's just kinda ok. C'mon Diamond Select! Give us a Chang! And a Gorkon too while you're at it! Labels: Chang, Playmates, Playmates 4.5"
All these old Mego and Playmates toys reminds me more and more of how little variety Diamond Select's line has. I wonder if they will ever release the planned Janice Rand and Chapel. 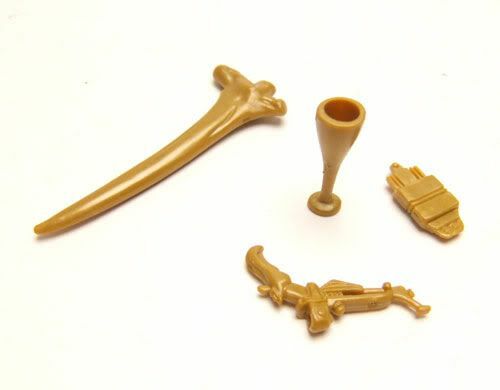 There are new Kirk and Bones with that pack but I want Janice and Chapel. While I'm waiting I'm attempting to make my own The Cage Nr1 figure, would have been easier to make a mold using DS Chapel. I've started to collect Playmates while I wait for more DS. I can't see that you have reviewed the 9" City of the Edge of Forever Kirk and Spock. I really like those. Do you have the 9" Edith Keeler from Playmates? 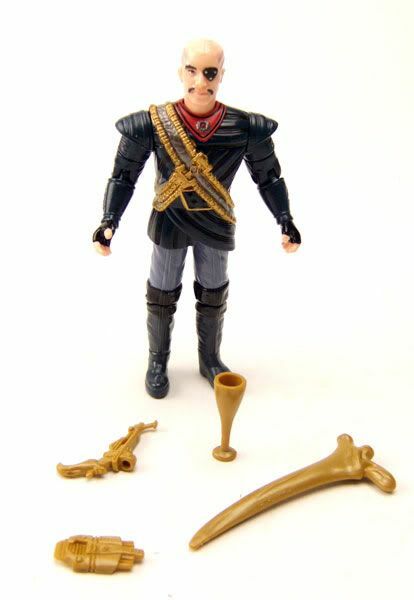 I can't find a good picture of that figure. I love this blog BTW, very informative for a eager collector. Totally agree with you... and I'd love to see your custom when finished!